We’ve answered a few questions here and are always happy to answer any others. Please contact Spectra Diversity if you have additional questions. Provide direction for organizational efforts – where is the greatest gap to close? What does an organization that’s “ready” for SDIA look like, sound like, act like? 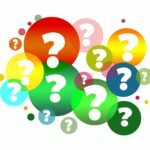 What 2-3 questions can help identify organization that would benefit from SDIA? What are they doing around recognition, engagement? Have there been a catalyst from (internal or external) pressure to explore this topic? Clients that are aware of competitive challenges with perhaps both attracting talent, as well as customer attraction/retention that they need to have a more inclusive culture. How does the Spectra Diversity Inclusion Assessment™ compare to other similar assessment tools? At Spectra Diversity, we believe that any self-assessment selected should be appropriate to its intended audience and for its intended purpose. As diversity and inclusion trainers, and consultants, we believe there are many wonderful tools available. We created the Spectra Diversity Inclusion Assessment™ to fill a gap and answer a need that was not being met. We believe that Spectra Diversity Inclusion Assessment™ is the only statistically validated self-assessment that provides data at both an individual and organizational (or team) level. It is particularly useful as an organization-wide or team-based bench-marking tool. What is the difference between the IDI and the SDIA? IDI: Helps individuals and teams assess and reflect on stages of cultural competence. It measures differences and places an individual on a 5-part continuum. Individuals receive an individual report and the team report is a combination of all individual reports (not an organizational snapshot – only aggregate of individual responses). The IDI requires individual coaching based on the IDI Individual Profile Report. Not conducive for group debrief initially. A great start to D&I to help senior leaders explore themselves. SDIA: Assesses diversity and inclusion Beliefs and Interpersonal Skills at the individual level and places participants (as individuals) on a 5-part continuum. It also assesses diversity and inclusion perceptions related to the organization: Management, Culture and the 3Ps (Policies, Practices Procedures) and places those three categories on their own 5-part continuum. Team responses are provided in the organizational report for both the 2 individual categories and the 3 organizational categories. Powerful way to assess the culture related to D&I and the individual’s self-assessment of skills. Provides direction for the OD consultant to make recommendations and the trainer to guide the focus of the training activities based on objectives. What browsers does the Spectra Diversity Inclusion Assessment support? What if one of my teams has just a few members? Won’t the “anonymous” responses no longer be anonymous because someone can figure out who said what? Anonymity is very important and for this reason we’ve taken several safeguards to protect the identity of those taking the Spectra Diversity Inclusion Assessment™. First, we have a secure login process to make certain that those taking the assessment are authorized individuals from the organization’s preapproved list. We’ve worked hard to prevent individuals from taking an assessment they are not authorized to take. The second way we protect participants is by not providing any demographic data to the client or company, if there are nine or fewer in a demographic. For example, if there are only three white females between the ages of 55-64, then the age demographic in its entirety would not be shared. If there were 12 females (of any age) then the gender breakdown would be shared. If there was only one person who identified as Asian-American, then the racial category would not be shared. A third way to protect individuals is to remove the company or organization from the flow of responses on an individual level. The self-assessment is taken online via the Spectra Diversity server, and the Individual Report is sent to the participants preferred email address – which could be a personal email, rather than a company email. The data that is shared with the organization is aggregate data. Once we’ve determined that we have diversity and inclusion issues to work on – how do we address our issues? What is the next step?  Spectra Diversity is currently assembling a list of qualified Diversity and Inclusion consultants and experts who may assist you in planning your next steps. We also offer a debriefing phone consultation, with one or more of our partners, to help you identify potential next steps. Please contact Spectra Diversity for additional information. How do we communicate to our employees/staff/team members? We have created communication templates to get you started. Please contact Spectra Diversity to obtain the samples. I’d like to be a certified Spectra Diversity Inclusion Assessment™ Partner and facilitate the training. How do I do that? We have a certification process which includes the Facilitator Kit. It is expected that Partners bring prior facilitation experience and not beginners. Is there a Spectra Diversity Inclusion Assessment™ discount for certified facilitators? Yes, there is. Please contact us for pricing. How can an assessment be valid when it uses such simple questions? Although the result may look simple, it is backed up by science. To develop the items for the profile, three diversity and inclusion experts reviewed the pertinent literature to identify concepts that should be reflected in the items. Weight was given to the most recent publications. Once the concepts were identified, the three experts generated items reflective of the literature review. Further, items from custom assessments developed in the past by the experts were added to the pool of items. The initial pool included 120 items. These items were reviewed by seven additional diversity and inclusion experts who narrowed down the list to 48 items to be used in a pilot study. Likert scaling, used often in attitude instruments, was chosen for response measurement. Several of the 48 items in the pilot study were reverse-scaled to reduce response set bias. Data were collected via an electronic survey via Survey Monkey. The survey remained open for 3 weeks during which time 750 people accessed the survey. The reliability was measured using an internal consistency formula. Calculations were performed for each of the five categories separately. For each category, questions within a category that reduced the reliability were removed. Cronbach’s Alpha was measured and ranged from .7 to .9. Typically, greater than .8 is good with greater than .7 being acceptable. Less than .5 is often regarded as unacceptable. A good Cronbach’s Alpha measure doesn’t necessarily indicate unidimensionality. Finally, while several items in the pilot pool of items were reverse scored, only two reverse-scored questions made the cut when optimizing the reliability of each scale. Thus, the “simple questions” are the product of rigorous validation. What do I do when a participant says they took the SDIA and received a reminder in error? Spectra Diversity has found that about .01% of people will believe they have received an SDIA reminder in error – because they believe they have already completed the assessment. In a large SDIA (5,000 people) this small amount of .001% of people could generate a seemingly large flood of emails (50) to the Change Partner or directly to the client. This is normal. If the person is accurately on the master list, check the “Daily Participation” notice. This will tell you whether or not the person is in the data base as a completed entry. If the person has not participated, send them the link to take the SDIA again. The most likely cause for an incomplete SDIA is that the individual selected the “submit” button and closed out the SDIA without seeing the “Thank you” verification. If they say they tried more than once, and you’ve completed the above steps, refer the individual’s email to info@SpectraDiversity.com for further action. At Spectra Diversity we strive to make the SDIA process simple for the participant, and secure and robust for the organization. If you have an internal IT department, forward a screen shot to them and see if they can help you. Switch to a different computer. If you’re on a desktop, try a laptop or vice versa. This often corrects the connectivity issue. Try taking the SDIA on a smart phone. It won’t look as “pretty” but the functionality is all there because smart phone operating systems are updated regularly. At Spectra Diversity we strive to make the SDIA process simple for the participant, and secure and robust for the organization. We welcome your feedback. How did Spectra Diversity determine the Sexual Orientation and Gender Identity classifications? Recognizing the fluidity of the conversations associated with Sexual Orientation and Gender Identity, we present categories in line with those suggested by leading organizations supporting the LGBTQ community. These categories are designed to best address the wide range of organizations we serve. We also work to ensure LGBTQ voices are heard as often as possible. As with all of our categories, if a sample size is fewer than five, we do not report out in order to protect anonymity.